Mantras play significant role in newborn’s life as blessings of lords shower on new born after submitting hair to god and goddesses. It ensures healthy and happy future life of child. Showering of blessing of god and removal of all types of planetary negativities and destructive force. Aptly showers strength and positivity that provides empowerment to new born by strengthening them through special mantras of Mundan sansakara. Mundan sansakara guides towards a path of power and wisdom. 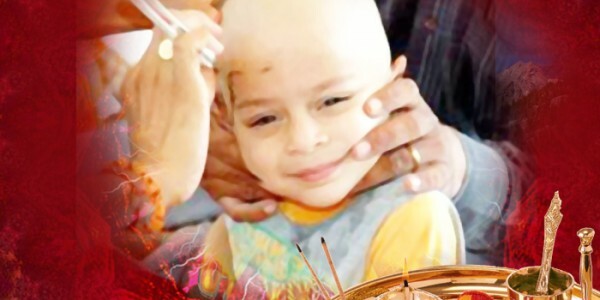 Complete accuracy in arrangement of Mundan or Choula Sanskaras that showers blessing of responsible gods and goddesses on the newborn child quite aptly. Puja Yagya incorporates Pundits who are fully expert in Mundan or Choula Sanskaras and they are also trained pundits of Gurukul.